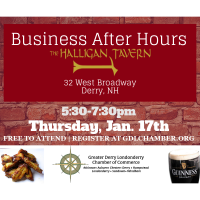 Join us at The Halligan Tavern for our monthly Business After Hours Networking Event and enjoy the great Irish pub food and beverages. 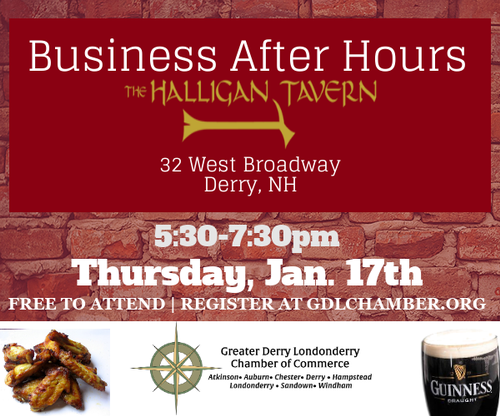 Located right in downtown Derry across from the Chamber office. Online registration is closed. Registration at the door is available.